A frilly leaved silver beauty that stands about 18" tall. 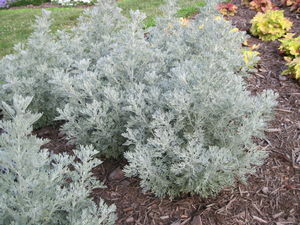 Use it as a striking choice for the center of containers or placed in the garden as a silver foil for other annuals. A sweet fragrance adds to the allure.